View cart “Face & Body Cream: Lavender” has been added to your cart. If you are a fan of our Essential Serum, you will flip for our Active Serum. 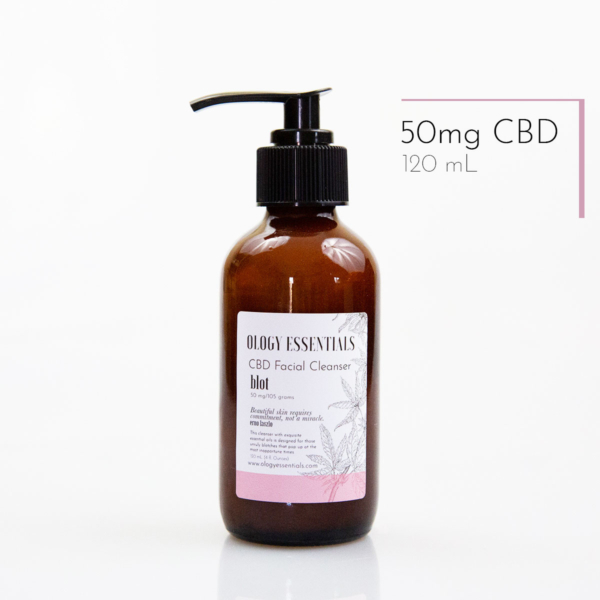 In the Active Serum we boosted the hemp CBD level to a whopping 500 mg per 30 mL and added some powerful essential oil friends to the mix. This blend is specifically formulated for anyone maintaining any sort of physical activity. 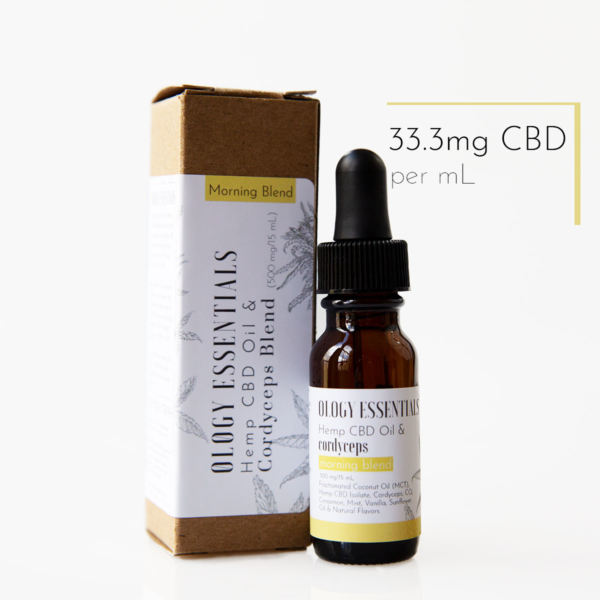 The hemp CBD strength is the same in both containers, however the mg per mL changes due the size change of each container. 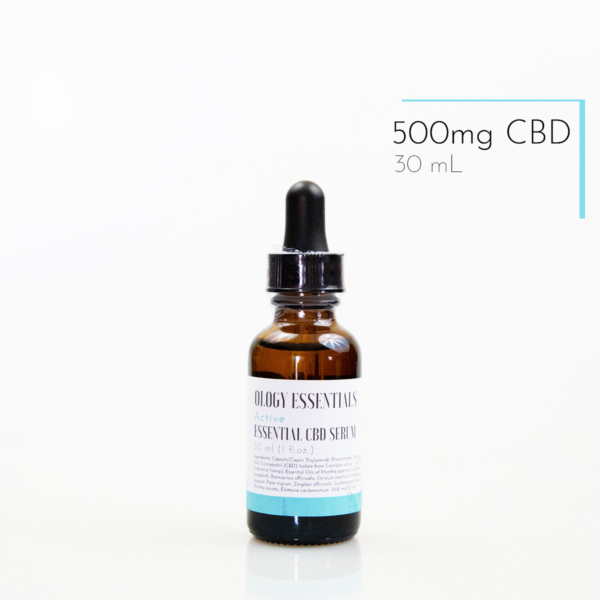 500 mg of CBD in the dropper. 166.7 mg of CBD in roll-on. Ingredients: Caprylic/Capric Triglyceride (Fractionated Coconut Oil), Cannabidiol (CBD) Isolate from Cannabis sativa (Industrial Hemp), Essential Oils of Mentha piperita, Copaifera langsdorfii, Rosmarinus officinalis, Ocimum basilicum, Melaleuca cajuputi, Piper nigrum, Zingiber officinale, Cymbopogon flexuosus, Mentha spicata, Elettaria cardamomum. Apply a few drops and massage into skin. This product is for topical use only. Do not ingest. This product is not intended to diagnose, prevent, or cure any disease. KEEP OUT OF REACH OF CHILDREN. 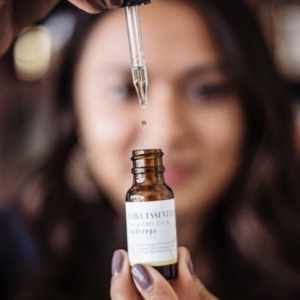 Our team of farmers, chemists, and aromatherapists are all experts in their fields. 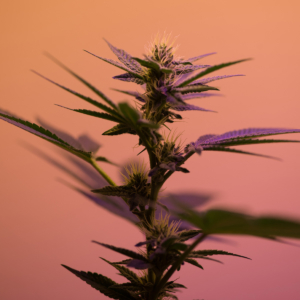 Our hemp farmers pride themselves in their hemp strains, and our chemists have been leading experts in the natural industry for over 20 years. 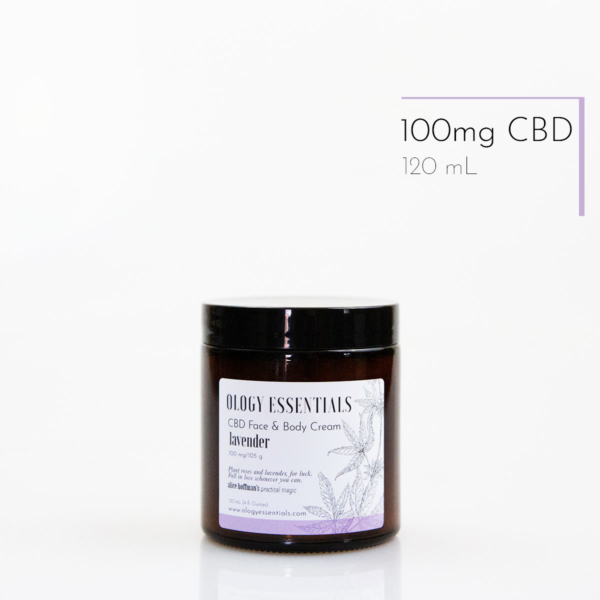 Luxurious body butters, lotions, and creams infused with pure CBD – it’s like a dream come true! All of our products have been carefully formulated to meet the strict Whole Foods Premium Body Care Quality Standards. We only use the finest ingredients. 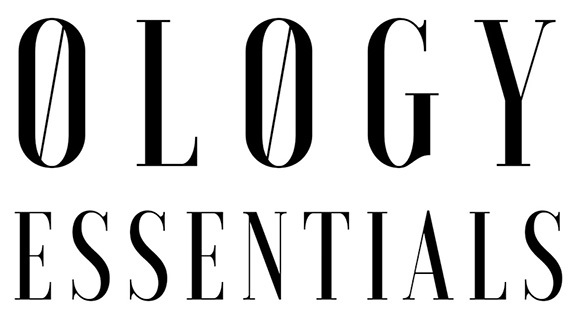 Ology Essentials has formulated the first full facial care lines that feature pure CBD & exquisite essential oils. 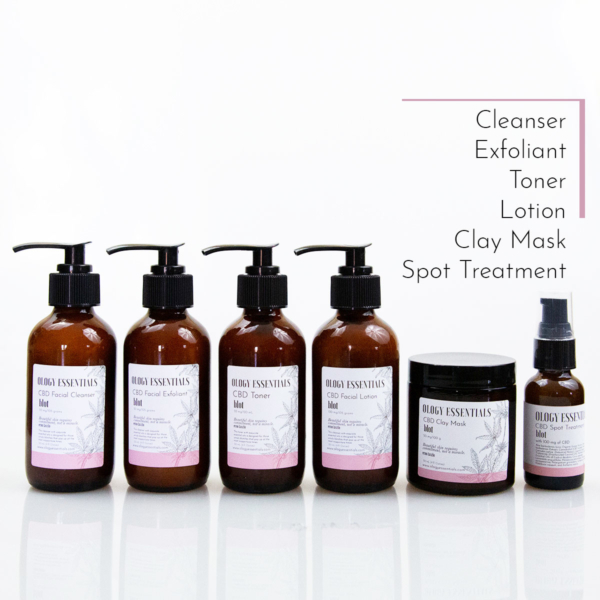 Each line includes a cleanser, exfoliant, toner, lotion, cream, and spot treatment. Every product is organically preserved and naturally emulsified. What more could you ever need? Generally we are taught about 11 systems of the human body such as the digestive, nervous, circulatory systems, and so forth. But there is also another one called the endocannabinoid system, which has cannabinoid receptors. CBD stands for cannabidiol and hemp is rich in them. The CB 1 and CB 2 cannabinoid receptors in the body bind with the molecules of CBD and produce positive biological responses, namely bringing about homeostasis (balance) in all the other body systems. Yay for balance! Every batch is third party tested. Please click “See Reports” for the most recent lab results for our products. "Surely no member of the vegetable kingdom has ever been more misunderstood than hemp."